Yankees starter Sonny Gray had another tough outing, as Tampa Bay got to him early. Jake Bauers got an RBI double in the bottom of the first inning, followed in the second by a Daniel Robertson RBI double and a Willy Adames RBI single to make it 3-0. Adames then hit a solo homer in the seventh to make it 4-0 and put the game away for Tampa. Gray fell to 5-5 with a 4.93 ERA on the season, as he went 6 2/3 innings, allowing four runs on six hits and a walk, with seven strikeouts. Wilmer Font got his first major league win for Tampa Bay, as he threw 5 2/3 shutout innings, and allowed just three hits and walked one, with four K's. The Mets got on the board first when Rey Ordonez had an RBI groundout in the second inning to make it 1-0, but it was all Yankees after that. In the fourth, Tino Martinez launched a three-run homer, and in the seventh, Chad Curtis had a sacrifice fly followed by a two-run single from Derek Jeter, and an RBI single from Paul O'Neill to make it 7-1. 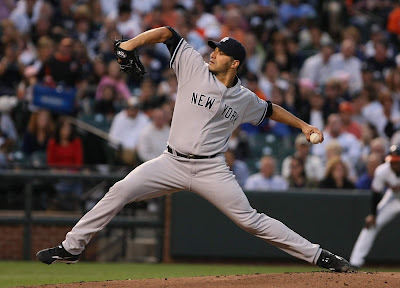 Andy Pettitte got the win for the Yankees, as he went 6 1/3 innings, and allowed two runs on four hits and four walks, with nine strikeouts, to improve to 9-5 on the season. Bobby Jones took the loss for the Mets, as he went 6 2/3 innings, and was a victim of bad fielding, with just three earned runs out of the seven he gave up. He allowed six runs and three walks, with just one strikeout. Where they stand: With the two losses in Tampa Bay, the 2018 Yankees (50-24) are now five games off the pace of the 1998 team, which was 55-19 through 74 games.